Purchased in 1994 in Wyoming. (How many Hours) . Charlie is a plane with a very detailed maintenance record. Prior to Wyoming she was in service near Lake Clark Alaska. 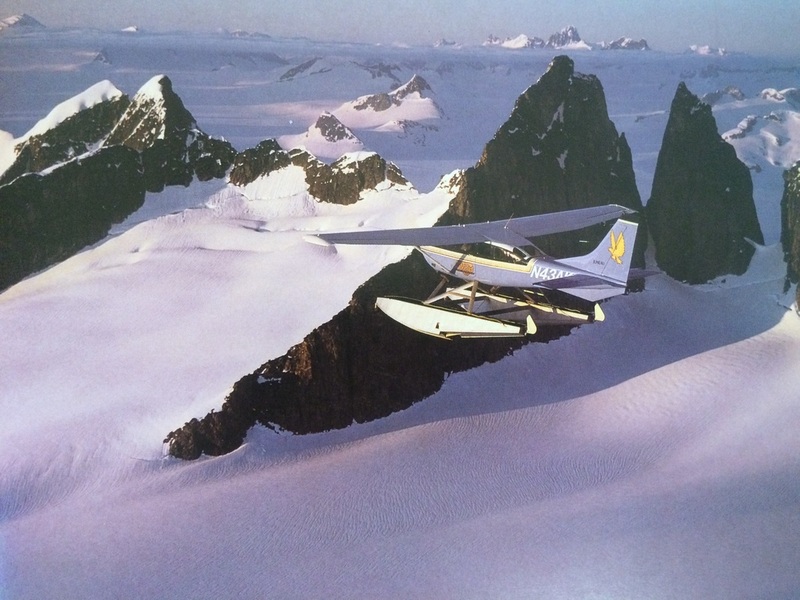 It is now equip with GLS 3000 Skis, a 0550 F Continental engine, and is the ultimate plane for Four people to experience Glacier Bay by air and or Ski plane. Tiaya says "some old guy in Arizona had the Cub before my dad got it". Yes, the Cub has an impeccable maintenance record by Jack the previous owner. 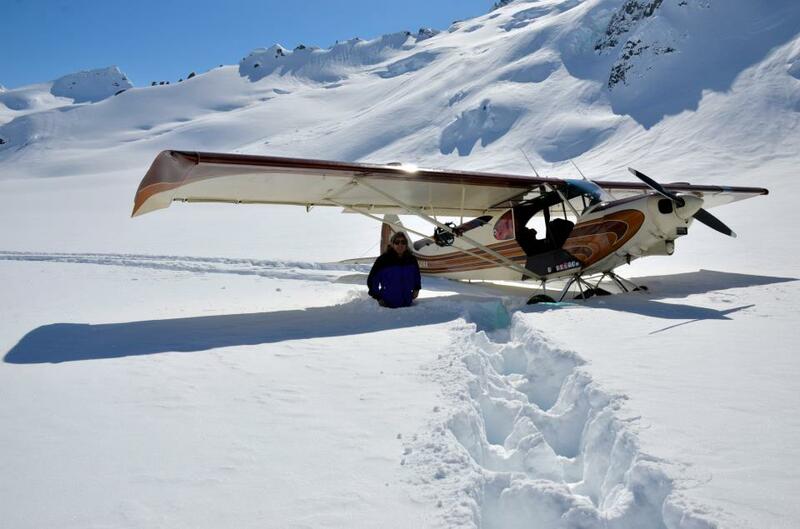 Drake flew under winter conditions from Arizona to Alaska in 2011 bringing the cub to its new home in Haines. He has since put it on a major diet taking off some unnecessary weight and installing a brand new engine, new landing gear, brakes, tires, prop, and the sleek GLS3000 skis for winter recreating. That plane is the single passengers dream. The only reason any of the following words are written is because I have control over Drakes website layout. Drake would never write about him self in such a way. It is probably why so few people know the roots behind what has made Fly Drake. To succeed in a path of such control requires working ones self into a special physical and mental state (that of a true professional). The history behind Drake Olson and his planes is not simple. In fact it is not even clearly comprehendible by the average American. May I start with some brief narrative on why you will feel stunned upon Drakes landing back on the airport tarmac. The plane is under the control of true enthusiasm. Drakes job is the avid ski bums dream. But adventuring in the Alaskan wilderness has proven to be quite the under taking. In hIs early childhood Drakes father worked in aviation. Drake snuck in and out of the airport with radio in hand spectating the arrival and departure of each plane. His mechanical skills led him to building his first race car and leading him to his first career of professional driving. Many sleepless nights and severe crashes went into Drake winning the 1985 Porsche cup. 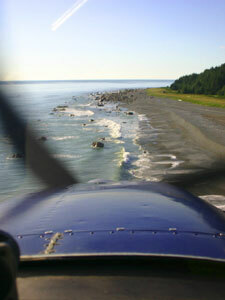 He wrapped up his F1 racing career with the purchase of a 1955 bush plane. 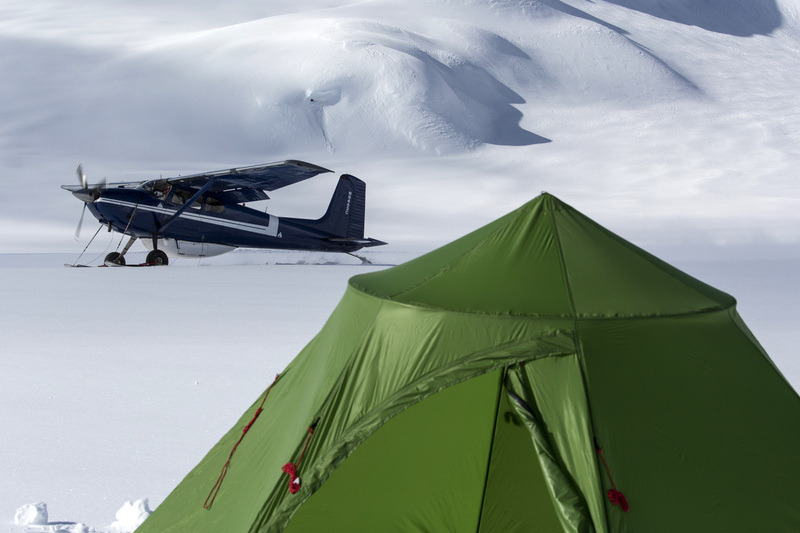 Drakes time was then spent flying to his favorite ski locations between Colorado and Alaska. Learning to fly a plane was only the beginning of what Drake didn't realize would be an even bigger undertaking. He permanently moved to Haines In 2005 with his commercial flying license and some very credible mountain aviation under his belt. Both Cessna and Piper have intricate components working to maintain flight and precision tuning is crucial. I trust someone who can make a car go faster on the ground than a plane does in the air knows how to maintain the inner workings of the machines used in his now double decade career in aviation. Each of his three planes are personally maintained from Prop to Tail following the stringent standards of the AEP and FAA regulations. A six month off season is spent jumping between Cowling from from one engine to the next. You must dismantle the seats and crawl into the Fuselage of a plane only to access and inspect the Stainless cable and pulleys linking the elevator and rudder. First the rubber flooring is removed as it protects the plane from fish guts to tourists high heels. The hand riveted aluminum plating is then dissected and a small visible window is accessed barely fitting ones hand and a mirror for inspection. This maintenance continues as the wing and landing gear are all apart of documenting the current weight and balance specs. As each engine and airplane is maintained Drake burns ten cords of wood in order to heat his hangar through the cold and dark Alaskan winters. We sit in our desk chair or the chairlift at our favorite ski resort as Drake is finding small weather windows keeping his flying skills up to date. With the skis linked to Charlie's landing gear Drake heads out by him self or with just one adequate partner mostly the likes of Local legend and guide Will Wacker. This must be understood that Drake is flying into the glaciated terrain of Alaska. He is becoming familiar with each winters snowpack. 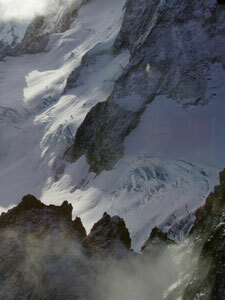 Conditions rapidly change as the snow cornices built by extreme wind can endanger his future landing and camping zones. 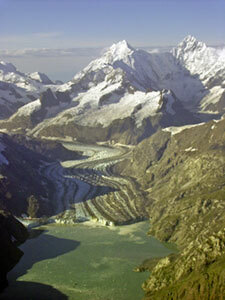 The crevasses can expand capable of engulfing a plane or a human with one miscalculated move. Mid February each year the professional and recreational ski mountaineers come to Haines requiring Drakes assistance to access the steep alpine terrain. Please note this is three months prior to the Flight seeing season where Drake and the 206 must preform daily duties. What most of us do not realize is this is a one man show. I have personally come to respect that what is happening here is beyond fathomable. To attain so much and still perform so flawlessly year after year in inspirational. The tip of a hat or a hot drink and snack is energetically appreciated by Drake as you come for a flight. Because more often than not he is already several hours of service into the day before you fly with him and even a human requires fuel to keep moving. Entering into Drakes world captures your senses as you climb into a seat just big enough to contain you by metal and clear polished windows. (i know they get polished because I do it my self at least once a year). The headset is what calms most people as you become connected by voice and calmed by the rock and roll music playing as your reality completely changes from one banked turn around a jagged mountain to the next. Wildlife, nature and freedom are not descriptive enough to explain what you feel both inside your stomach and between your ears as my equilibrium was forever changed. A new world of opportunity was opened upon my first flight four years ago with Mr. Drake. Deep breaths, I assure you that any flight with this guy will make you absolutely hungry for another. Thanks for all you do here in Haines year in and year out Drake!